I started by baking my chicken breasts in a little bit of chicken broth for about 30 minutes at 350°F. Then while the chicken was still hot/warm, I shredded it in my stand mixer. 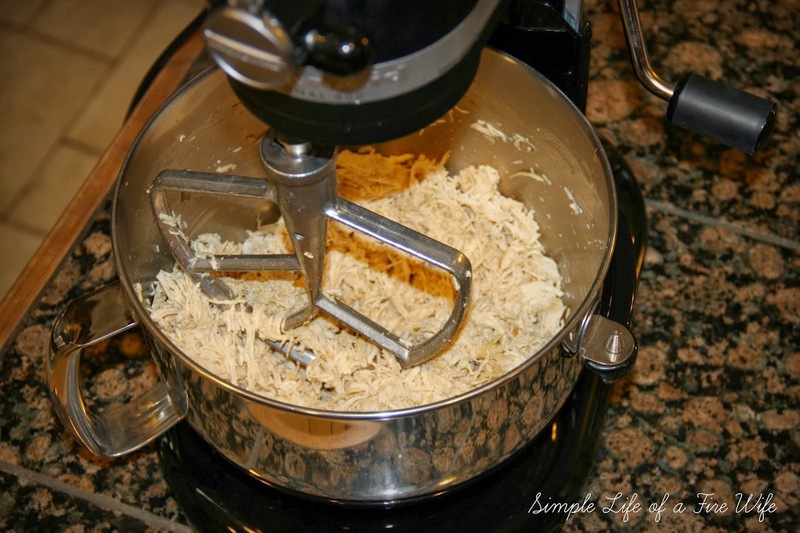 To make the dip, soften the cream cheese then whisk it until smooth. Add in the salad dressing, hot sauce, and crumbles. 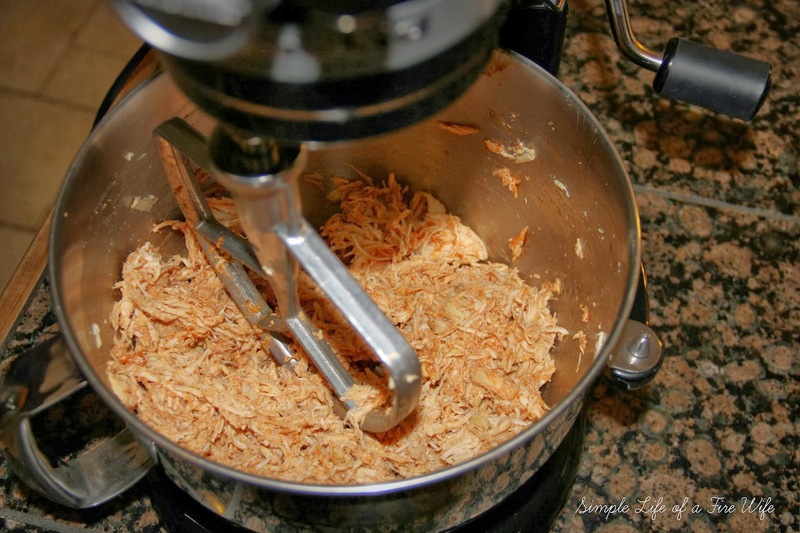 Then stir in the shredded chicken. I put mine in my mini crock pot and set on low for 3-4 hours, and just left it on low for the duration of our party. You could always crank it up to high for a couple hours to get it heated through then back it down to low once you start eating on it. Serve with cut up peppers, celery, pretzel chips, and tortilla chips. Enjoy! Hi everybody! I received an email this week from someone asking about my cleaning schedule. I have had other people ask me about it in the past as well so I thought I would lay it all out here for you! 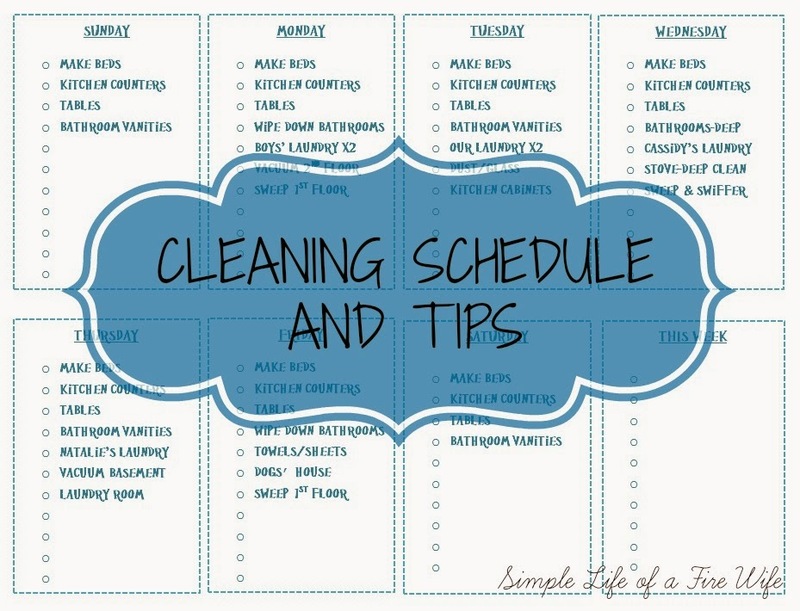 While I absolutely drool over the many adorable printable cleaning schedules you can find online, none of them ever work for me. I feel like I need to have my own, personalized to my family, schedule. So this is what I came up with. No where near as pretty as others you can find, but it does the trick. 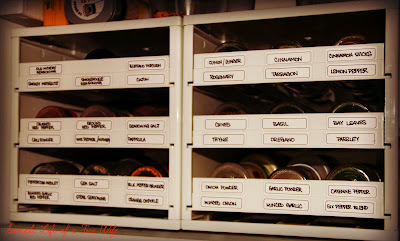 I wanted it to fit on one page so that I could easily hang it on my magnetic board in my Butler's Pantry in my Command Center (see that post here). I have it in a page protector so I can check everything off with a dry erase marker and then resuse it every week. 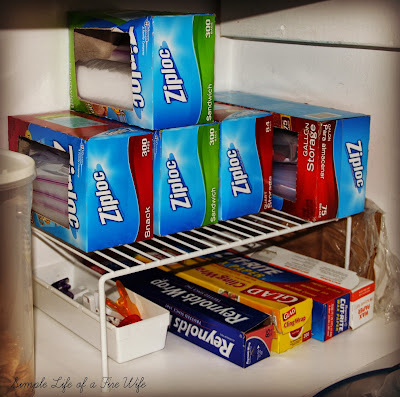 I have 4 things that I do every day-beds, counters, tables (kitchen & dining), and bathroom vanities. Saturday and Sunday I try to not do anything except these 4 things. But these are also good days to catch up on other things that did not get done that week. In a family of 6, there are some very busy days where not much cleaning gets done around the house! Mondays I do a quick wipe down of the bathrooms in addition to the vanities...I have young boys...need I say more?! The toilets and surrounding floor need attention more than just once a week unfortunately...and speaking of my boys, they share a room and a hamper, so their laundry gets done together. I try to do a quick spot clean of kitchen cabinets as things come up, but this day I try to wipe down all the fronts no matter what. Deep cleaning the bathrooms! Yay! 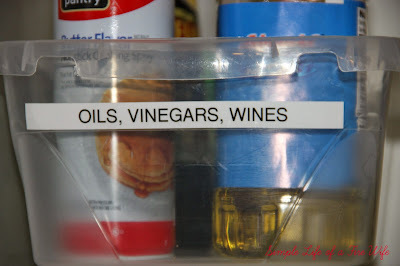 I also do a wipe down of my stove when I am cleaning the counters after dinner each night, but this is the day to clean the grates, knobs, etc. 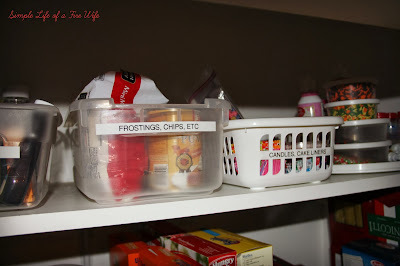 There's usually not much to be done in our laundry room as far as cleaning goes because our laundry room is in the basement and also serves as our storage room. But rugs do need to be vacuumed, machines wiped down, etc. We have a built in dog crate area that we call their 'house'. This gets a good scrubbing on Fridays. I also have a section for other jobs that need to be done through out the week but not on any specific day-windows, cleaning couches, sweeping porches/deck, etc. The main thing that I do it try to keep our house picked up at all times. And yes, I do mean at all times. I'm crazy like that. I have this fear of someone knocking on my door at any given moment and toys might be out on the living room floor, a paper sitting on the desk, a dish in the sink, or something on the counter. It's ridiculous I know. 1. Come up with what works for you. Don't take my schedule and make it yours. Write down what needs to be done on a weekly basis in your house and fit it to your schedule. I am home with my kids at this stage of my life, but if I were working my schedule would look very different-I would utilize my weekend more for cleaning. 2. Keep things picked up. Nothing feels better than walking in the door when you come home to a picked up house. Your floors may not be sparkling, but having things picked up will immediately make your home appear cleaner. 3. Make your bed. In addition to walking into a clean house, nothing feels better at night than walking in to your room to a nicely made bed. It will instantly make your bedroom feel cleaner as well. And it seriously only takes a minute to do-and I have lots of pillows to put on mine! It won't cause you to be late or take away from your morning routine. 4. Declutter. Go through your house room by room. Toss or donate anything you aren't using. You will clear space to put away the things you are using, and make it easier to find things when you are looking for them. 5. Do something about your paper. Paper can pile up in a house so quickly and before you know it you can have piles of stuff all over the place. You can see my attempt to corral our paper here, but again, find a system that works for you. 6. Get everyone on board. You can't do it alone. While I like to do cleaning myself (because again, I'm crazy like that and want it done a specific way), my kids and husband can do their share of putting their things away. The kids are in charge of making sure the playroom is picked up every night before they go to bed, and after dinner I give them a dust pan and tell them to sweep under the table. They also know that they need to keep their rooms picked up. 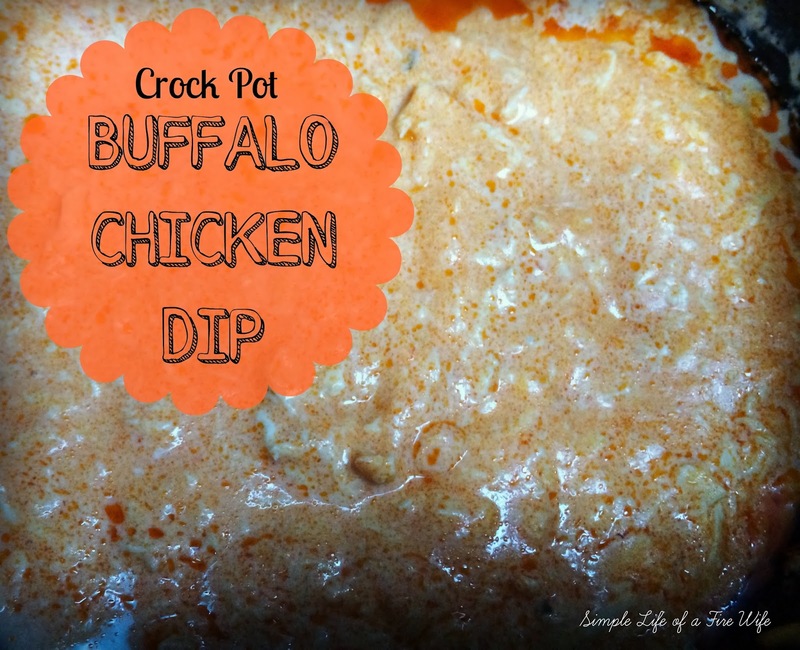 I found this recipe in a Better Homes and Gardens Junior Cookbook several years ago. 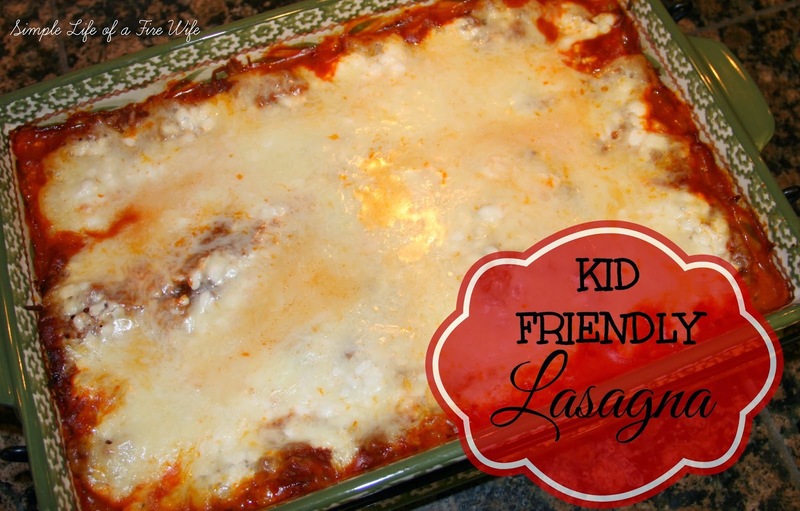 It is super simple to put togeher, and kid friendly in taste! 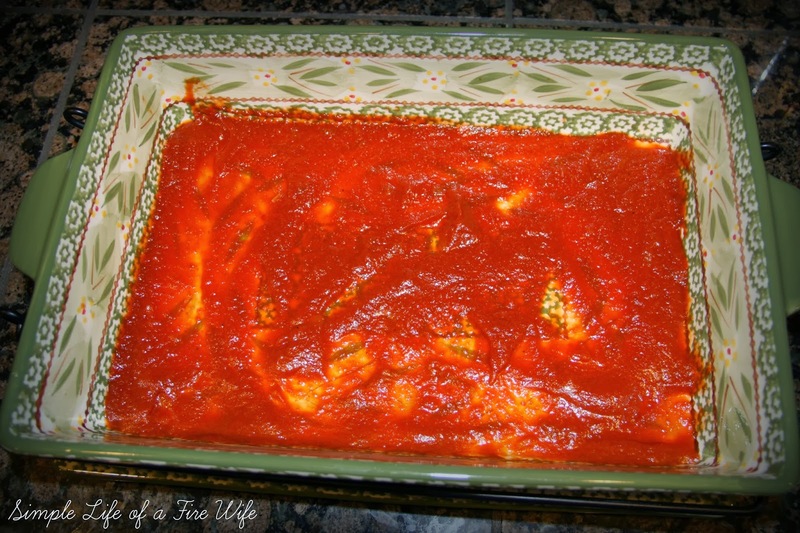 Coat the bottom of a 9x13 baking dish with some of the spaghetti sauce. 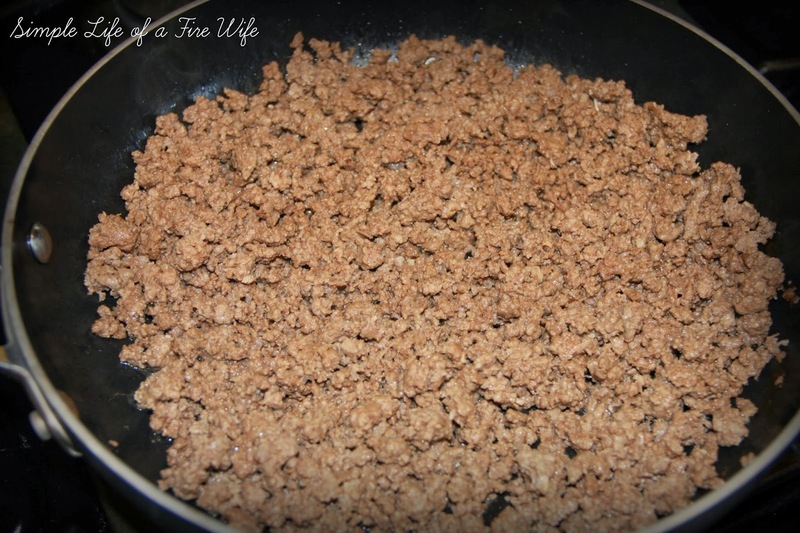 Brown the ground beef in a skillet. 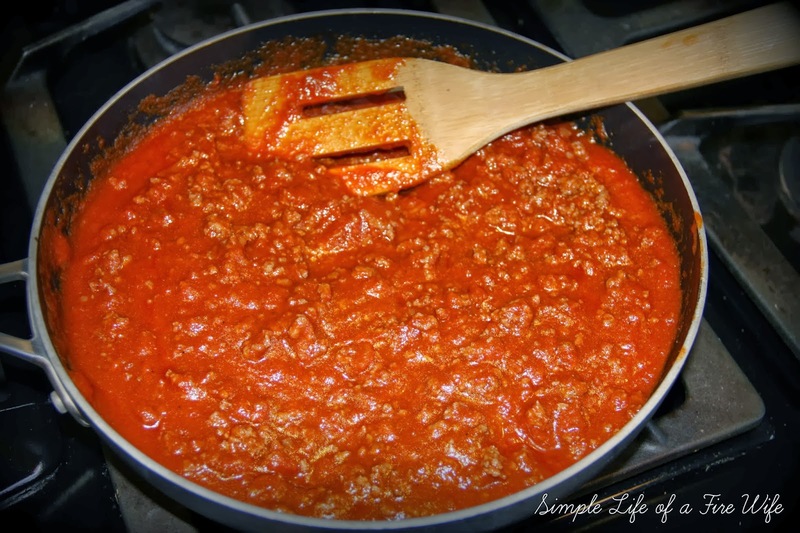 Drain any fat and stir in the remaining spaghetti sauce. 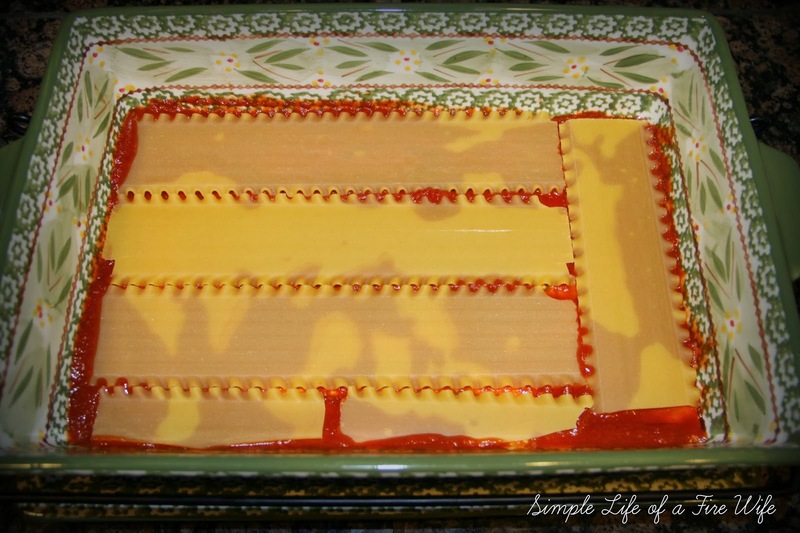 Layer dried noodles in the baking dish. 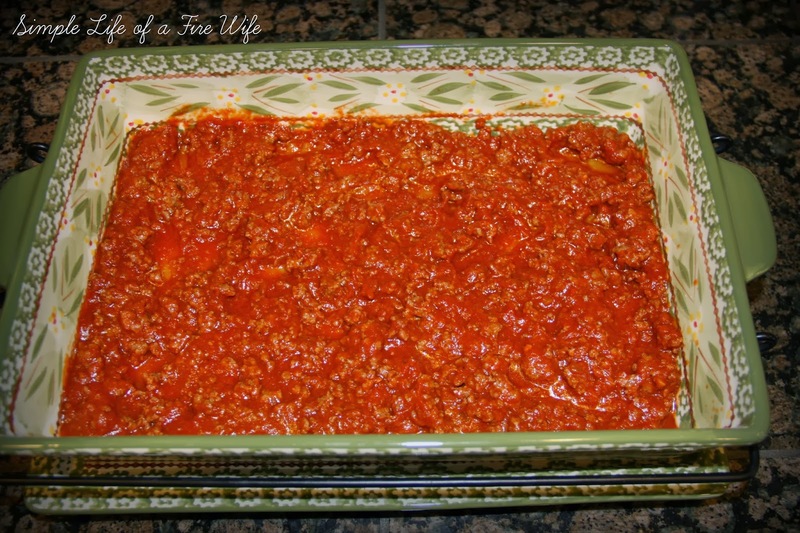 Add half of the meat and sauce mixture. 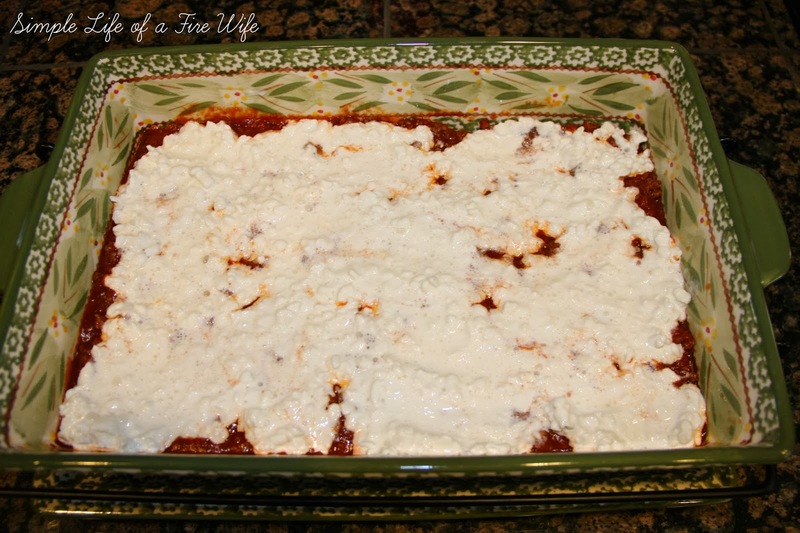 Layer half of the cottage cheese on top of the noodles. 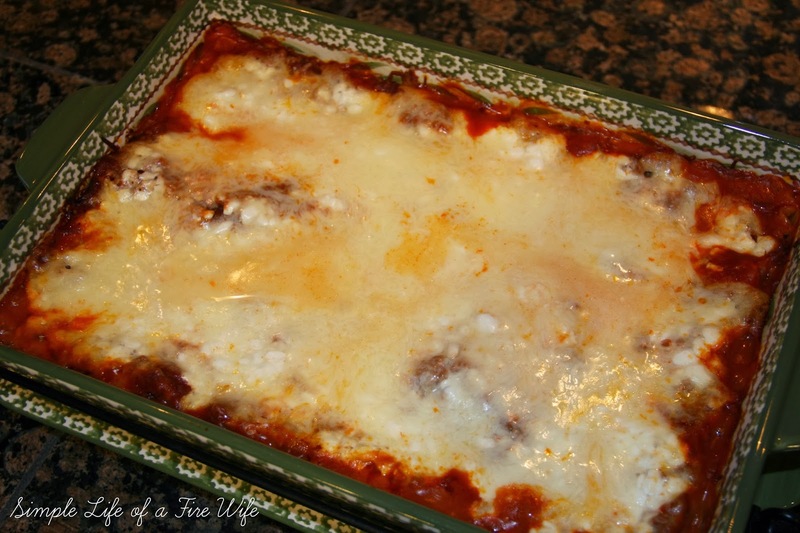 Add a layer of half of the mozzarella cheese. 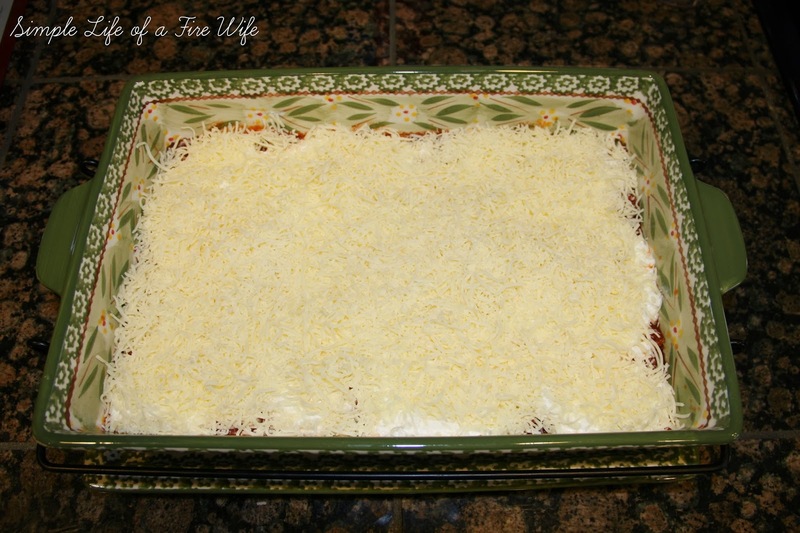 Add a second layer of noodles, meat, and cheeses. Add Parmesan if desired. Cover with foil and bake for 1 hour at 350°F. 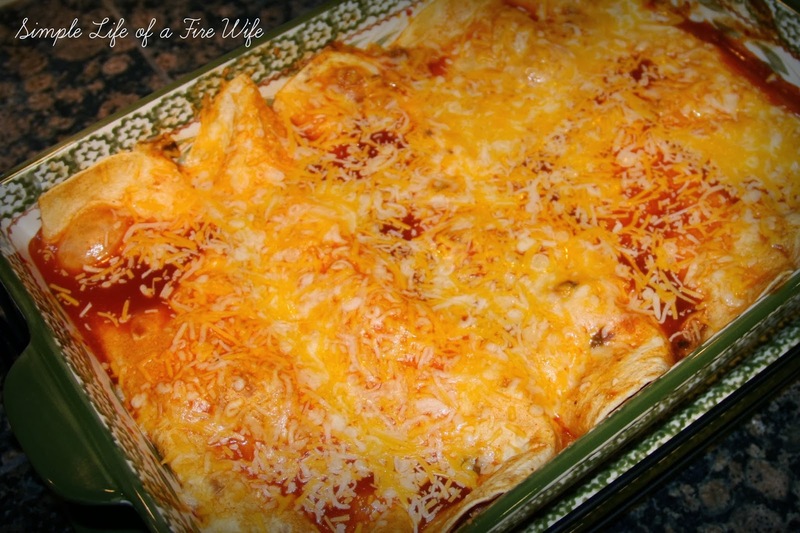 There are only 2 times that I allow the kids to eat something different than what I am cooking-when we have steaks (for obvious reasons), and these enchiladas, because they are quite spicy. But they are so good! You can alter the spice level a little if you don't want as much of a kick. To tone it down a little use just the chipotle sauce. You can either strain it out of the can or we have actually found smalls cans of just the sauce-often labeled Chipotle Salsa. Coat a large skillet with oil. Season chicken with salt and pepper. 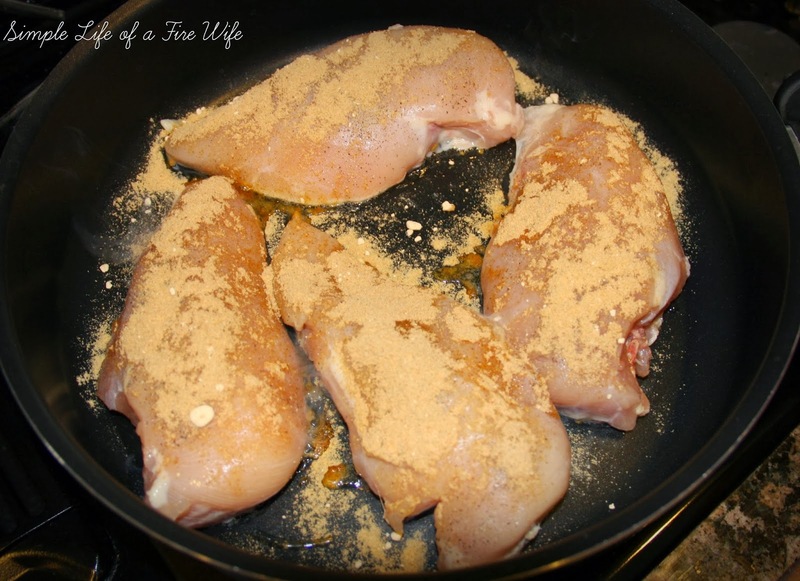 Combine cumin, garlic powder, and taco seasoning and sprinkle on both sides of the chicken. Cover and cook until chicken is cooked through. Shred the chicken finely. I like to pull out my big Momma mixer (6qt, I also have Baby 4.5qt) and use the flat beater for this. It is SO much faster than shredding by hand!! Just make sure the chicken is warm when you put it in to shred. When the chicken is shredded, add some of the chipotle sauce and mix in. 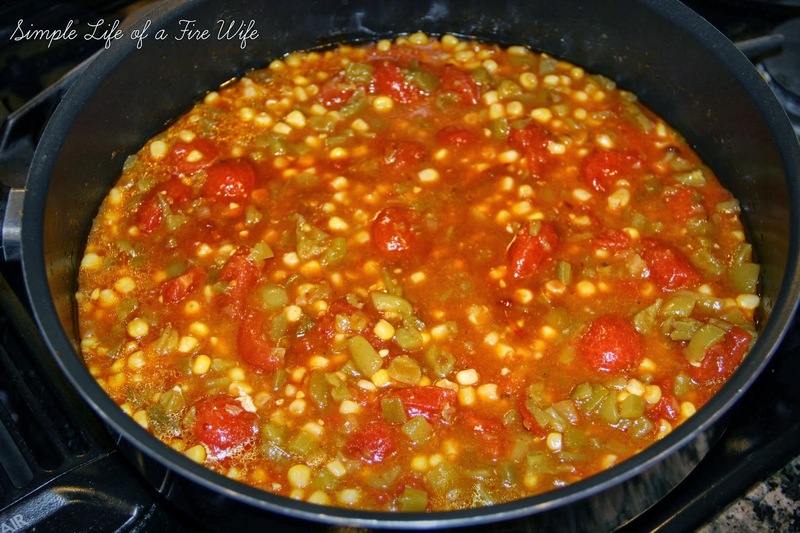 (You can skip this step if you want to tone down the spice level. Just add it in the next step). 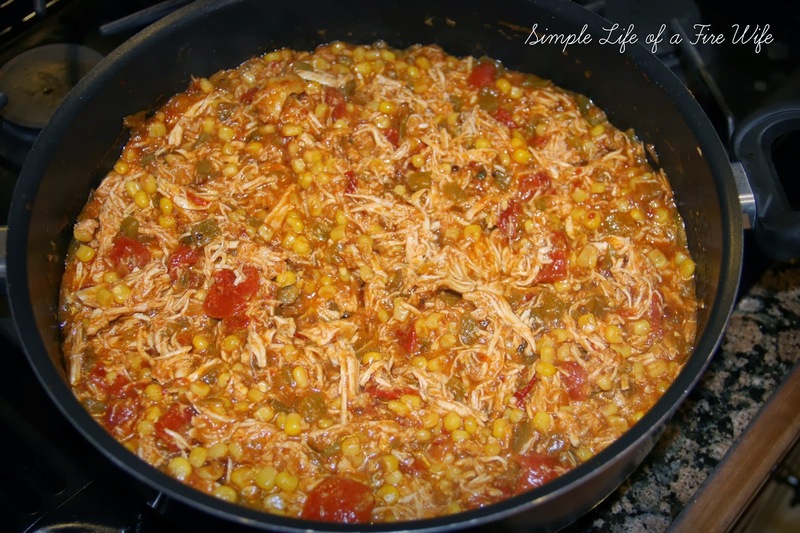 In the same skillet that you cooked the chicken in, add corn, green chilies, chipotle chilies, and tomatoes. Allow that to simmer for about 5 minutes. Then add in the chicken and simmer for another 5 minutes. 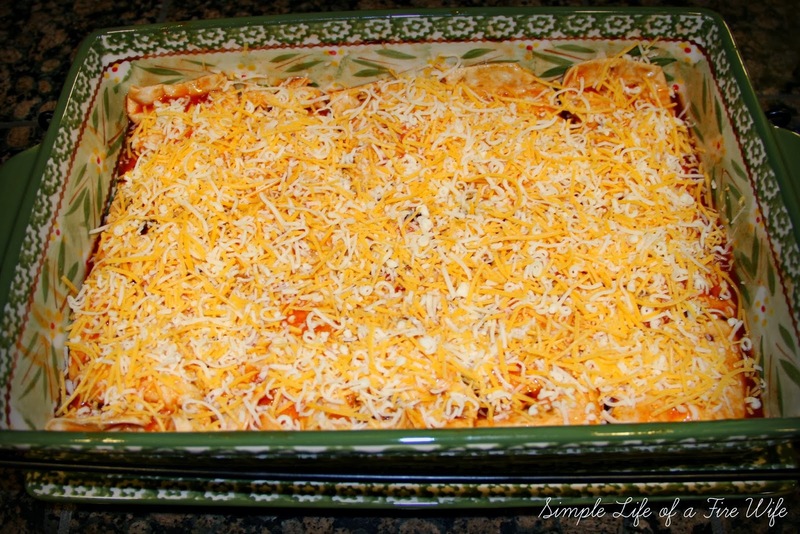 Coat the bottom of a 9x13 baking pan with some enchilada sauce, then begin to assemble your enchiladas. 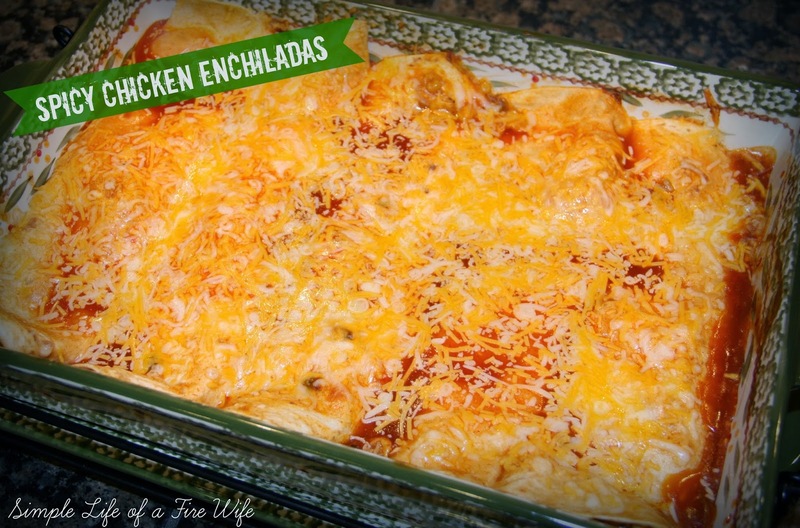 Dip the tortilla into enchilada sauce then spoon the chicken mixture in and sprinkle in a little cheese. 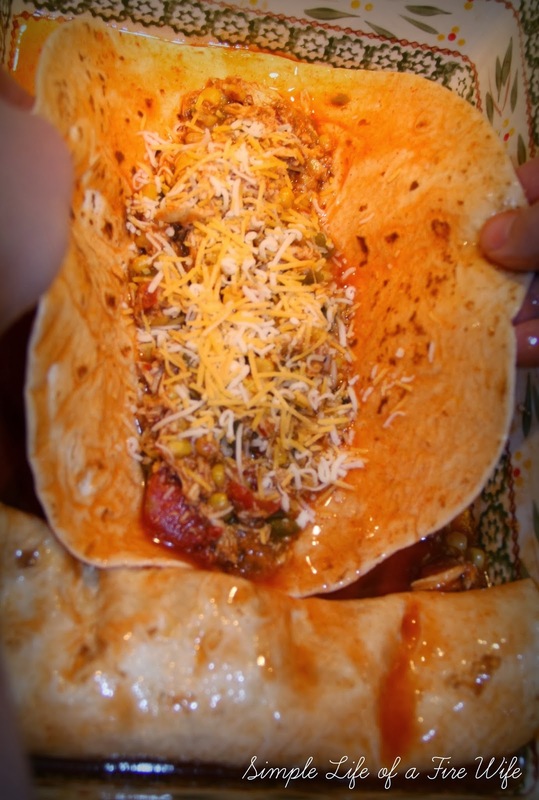 Roll it up and place in the pan. Do this until the pan is full (we usually fit 6 in each pan). Sprinkle the remaining cheese on top. Bake at 350°F for about 15 minutes or until cheese is completely melted. 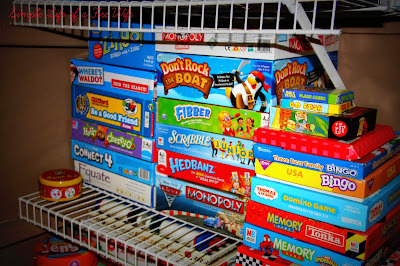 Now, in my defense, the ones on the floor are all large floor puzzles with the exception of one game. But still, is this normal?! 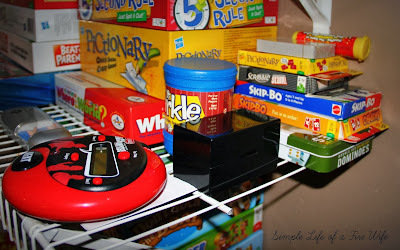 There are so many fun new games that have come out since I was a kid, so I enjoy getting new ones to try with the kids. And since I am currently looking out my window at what looks like a blizzard, and we have around a foot of snow forecasted for today, this seems like a perfect day to pull some of these out and have a game day by the fireplace! Stay warm! 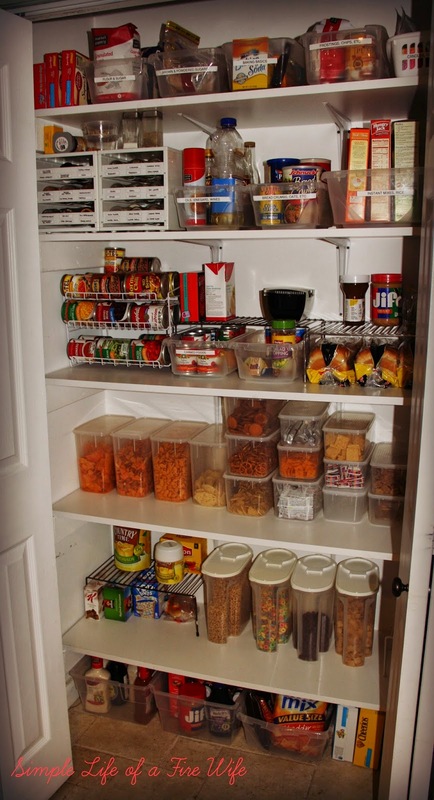 This is the overview of my pantry. (There is a small recessed portion behind the wall to the right that you can't see.) 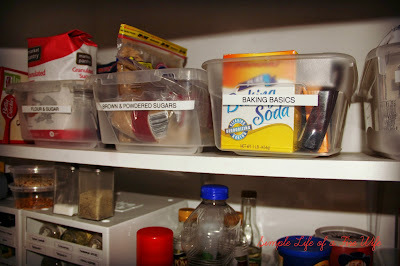 Now, this is far from my dream pantry, which would include beautiful baskets with labels hanging from ribbons and no cardboard or colorful logos in sight, but this works for us and is quite functional. 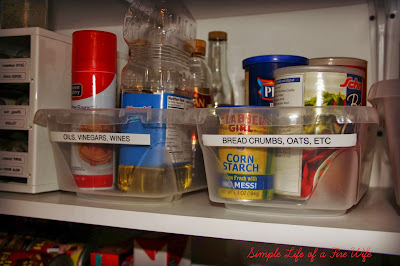 Bins with labels-makes life so much easier! Again, I would prefer beautiful baskets, but I had these dollar store bins already on hand so they are making the cut for now. I use a Lazy Susan to keep all my sprinkles on (right side of the photo). 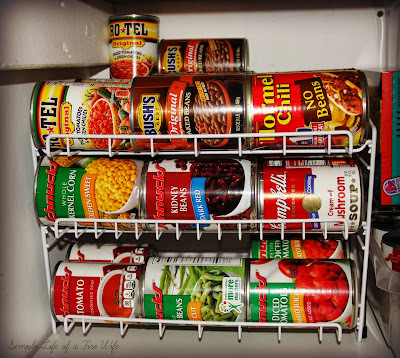 I've been using this can organizer for a few years now. We sort of have a love/hate relationship. When all the cans are in it I love it. It utilizes space well and keeps the cans organized. But when I have to take a can out or refill the shelves I sort of hate it. In a perfect world the shelves would be about an inch wider and an inch taller to be able to get things in and out of it more easily. 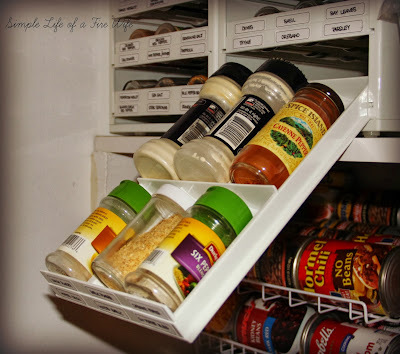 My spice organizer. I love this baby!! 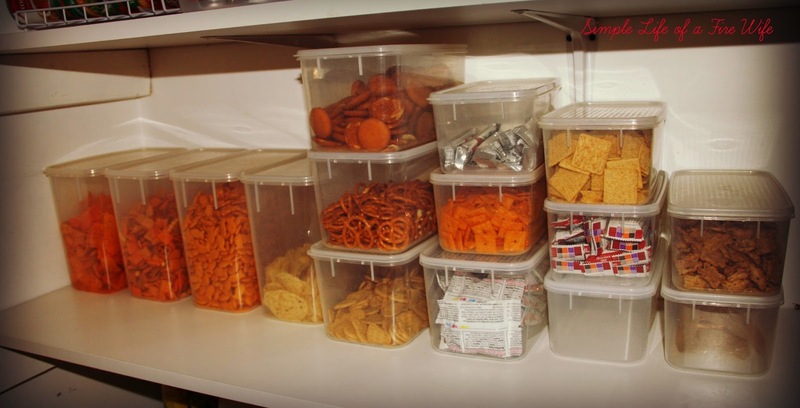 Everything tucked away in it's spot, and you just pull out a shelf when you need it. LOVE! I have seen these many different places, but I picked mine up at Bed Bath and Beyond for around $20. 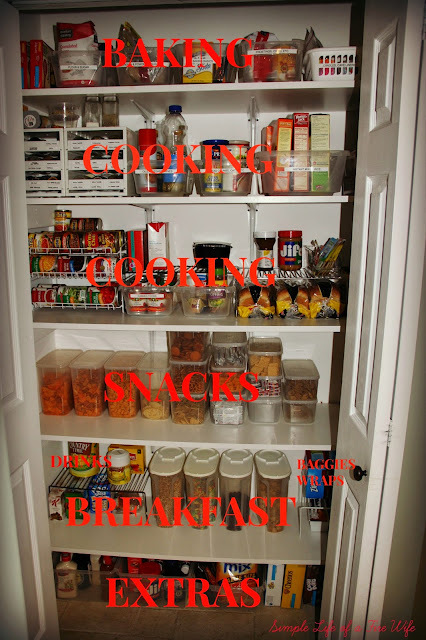 And the bottom right of the pantry holds all of our baggies and wraps. 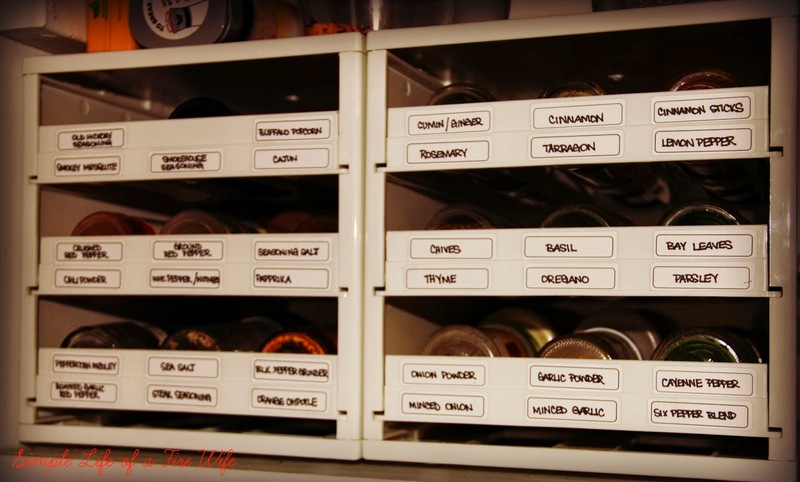 So, while I may not win 'The Most Beautiful Pantry' award, it certainly does function well (which is a necessity in this family!) Do you have tips or products that help to keep your pantry organized? I would love to hear (and see!!) if you do! Thanks so much for stopping by today!